Next Sheffield FNR: tbh I am not sure. We are a much bigger team putting on rides than we were and Simon and I are in and out of Sheffield like yo-yos. There should be one in May and we should be able to confirm that in the next couple of weeks. We had an enthusiastic meeting last year of ppl offering to research ride themes and work with Mick and Simon on routes. It looks like that we will be riding at least once a month, more or less, between the equinoxes. and dates may change depending on all sorts of things. 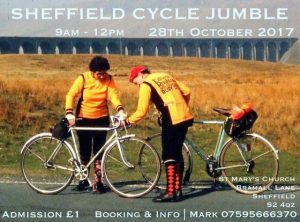 Mick’s ride on 12 April will rework the Sheffield Modern ride that we had to cut short in October 2018.
a chance to revisit the first SFNR ever with a ride to external locations of the film and reflect on how SHF has changed over the last two decades. 2019 is the centenary of the 1919 Housing Act which led to a massive national programme of building council housing. providing a welcome alternative to private rented accommodation. 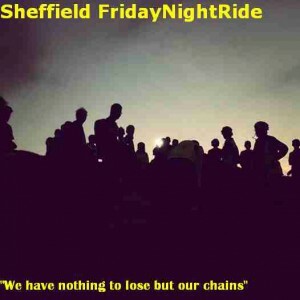 So get on the email list (sheffieldfridaynightride@gmail.com) or like the fb page. SFNR is also on twitter as @sheffieldfnr. Tweets are usually announcements only. Mark’s contact details are on the poster for the jumble if you want to book a table for a jumble. don’t forget to look on these sites: local CTC site; the Sheffield Clarion Cycling Club;, the Steel City Riders; Ride Sheffield; Sheffield Shopper Society; No Balls Biking; Sheffield Women’s Cycling – see side bar Other Sheffield Rides for all these. Click on this logo, check out what it says, sign up if you want to. I know its News International, obviously linked to News Corp who sponsor all that cycling through SKY; but I think this is genuinely felt – shock that a colleague ordinarily commuting to work can be seriously injured through poor vehicle design and driver behaviour. Fraternal/Sororal Rides: There used to be a London FridayNightRide www.fridaynightride.com (where I was inducted into the experience) sadly no more. If any body knows of another FNR like this one – there are other FNRs which cycle to the coast and all that kind of stuff but we are not into distance or endurance or power (I think we are in it for the joy of social urban riding and being a tourist in your own backyard) then I could maybe see if any other FNR wants to do a fraternal/sororal ride sometime in Sheffield and vice-versa. 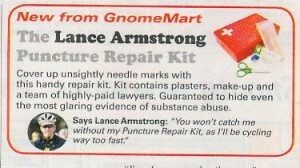 This entry was posted on Tuesday, March 8th, 2011 at 7:00 pm	and is filed under news. You can follow any responses to this entry through the RSS 2.0 feed. You can leave a response, or trackback from your own site. It was great to meet the group who visited Castle Markets today. Good to see so many people have a genuine interest in our changing city of Sheffield. We tried to contact you but could not get through so we contacts our good freind Paul Truinn to let you no . Thanks for cycling passed our house yesterday – you asked if there was somewhere people could see the plans.